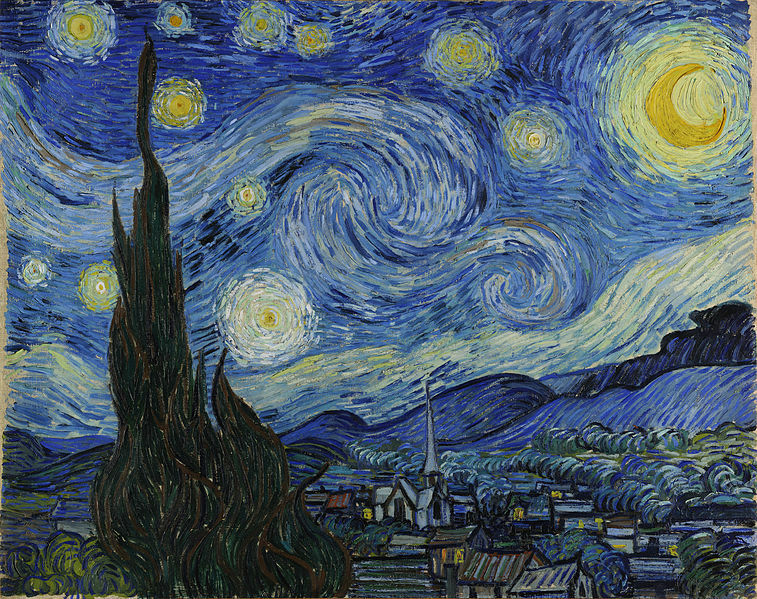 Vincent van Gogh; Famous Artist, Genius or Insane? Vincent van Gogh (30 March 1853 – 29 July 1890) was a Dutch post-Impressionist painter. 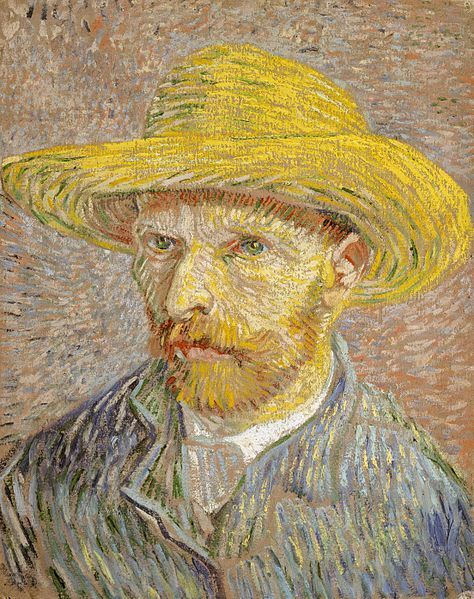 Van Gogh’s work, which was notable for its rough beauty, emotional honesty and bold color, had a huge and far-reaching influence on 20th-century art. Van Gogh started to draw early in life, when he was a child. He continued to draw throughout the years that led up to his decision to become an artist. Vincent did not begin painting until he was in his late twenties. He completed many of his best-known works during the last two years of his life. In just over a decade, he produced more than 2,100 artworks, consisting of 860 oil paintings and more than 1,300 watercolors, drawings, sketches and prints. His work included self-portraits, landscapes, still lifes, portraits and paintings of cypresses, wheat fields and sunflowers. During Van Gogh’s early adult years he spent his time working for a firm of art dealers where he traveled between The Hague, London, and Paris. After that he taught for a while in England. In 1885, he painted his first major work The Potato Eaters. His palette at the time consisted mainly of somber earth tones and showed no sign of the vivid coloration that distinguished his later work. In March 1886, he moved to Paris and discovered the French Impressionists. Later, he moved to the south of France and was influenced by the strong sunlight he found there. His work grew brighter in color, and he developed the unique and highly recognizable style that became fully realized during his stay in Arles in 1888. Vincent was serious even as a child. He was usually silent and thoughtful. He attended the Zundert village school from 1860, where the single Catholic teacher taught around 200 pupils. From 1861, he and his sister Anna were taught at home by a governess, until 1 October 1864, when he went to Jan Provily’s boarding school at Zevenbergen. Van Gogh was distressed to leave his family home to go to the boarding school as he later recalled. In September 1866 he went to middle school at Willem II College in Tilburg. Constantijn C. Huysmans, a successful artist in Paris, taught van Gogh to draw at the school and advocated a systematic approach to the subject. In early 1868, van Gogh abruptly left school and returned home. Vincent had early on been interested in religion, art and religion being the two occupations to which the Van Gogh family gravitated. His religious zeal grew stronger until he felt he had found his true vocation. To support his effort to become a pastor, his family sent him to Amsterdam to study theology in May 1877, where he stayed with his Uncle Jan van Gogh, a naval Vice Admiral. Vincent prepared for the entrance exam with his uncle Johannes Stricker; a respected theologian who published the first “Life of Jesus” in the Netherlands. Van Gogh failed the exam, and left his Uncle Jan’s house in July 1878. He then undertook, but failed, a three-month course at the Vlaamsche Opleidingsschool, a Protestant missionary school in Laeken, near Brussels. Van Gogh had a tumultuous life. 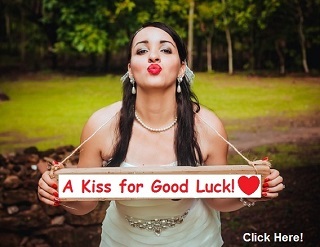 Between drinking, smoking, prostitutes, failure at being admitted to study religion, a rejected proposal of marriage, and being called insane, nothing seemed to go right for him. During a relatively short period of his later life he became a prolific painter. It wasn’t until the very final years of his life did he do his best work. Sometimes he painted so prolifically he turned out a huge number of paintings. During his two-year stay in Nuenen, he completed numerous drawings and watercolors and nearly 200 oil paintings. In February 1888 Van Gogh moved to Arles hoping for refuge at a time when he was ill from drink and suffering from smoker’s cough. Some thought he had moved to the town with thoughts of founding a utopian art colony. The Danish artist Christian Mourier-Petersen, became his companion for two months. At first Arles appeared exotic and filthy. In a letter he described it as a foreign country: “The Zouaves, the brothels, the adorable little Arlesiennes going to their First Communion, the priest in his surplice, who looks like a dangerous rhinocerous, the people drinking absinthe, all seem to me creatures from another world”. A hundred years later, van Gogh was remembered by 113-year-old Jeanne Calment—who, as a 13 year old, was serving in her uncle’s fabric shop where van Gogh wanted to buy some canvas—as “dirty, badly dressed and disagreeable”, and “very ugly, ungracious, impolite, sick”. She also recalled selling him colored pencils. Van Gogh was enchanted by the local landscape and light, and his works from that period are richly draped in yellow, ultramarine and mauve. His portrayals of the Arles landscape are informed by his Dutch upbringing; the patchwork of fields and avenues appear flat and lack perspective, but excel in their intensity of color. The vibrant light in Arles excited him, and his newfound appreciation is seen in the range and scope of his work. After repeated requests, Gauguin, a leading French Post-Impressionist artist, finally arrived in Arles in October. During November, the two painted together. Gauguin painted van Gogh’s portrait The Painter of Sunflowers: Portrait of Vincent van Gogh, and van Gogh painted some pictures from memory, deferring to Gauguin’s ideas as well as his The Red Vineyard. Their first joint outdoor painting exercise produced Les Alyscamps, and was conducted at the Alyscamps. In May 1889, accompanied by his caregiver, van Gogh committed himself to the hospital at Saint Paul-de-Mausole where he eventually stayed one year. A former monastery in Saint-Remy less than 20 miles from Arles, the monastery is located in an area of cornfields, vineyards and olive trees. 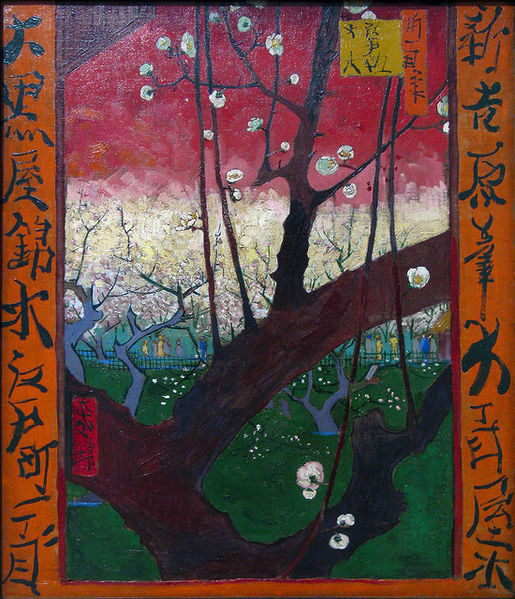 During his stay, the clinic and its garden became the main subjects of his paintings. He made several studies of the hospital interiors, such as Vestibule of the Asylum and Saint-Remy. Some of the work from this short time period is characterized by swirls—including one of his best-known paintings The Starry Night. He was allowed short supervised walks, which led to paintings of cypresses and olive trees, like Olive Trees with the Alpilles in the Background 1889, Cypresses 1889, Cornfield with Cypresses (1889), Country road in Provence by Night (1890). That September he also produced a further two versions of Bedroom in Arles. Because he had limited access to the world outside the clinic it resulted in a shortage of subject matter. 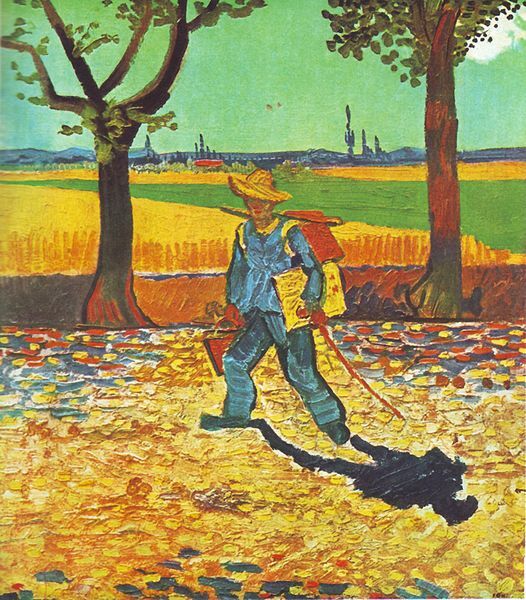 Van Gogh was left to work on interpretations of other artist’s paintings, such as Millet’s The Sower and Noon – Rest from Work, as well as variations on his own earlier work. Van Gogh was an admirer of the Realism of Jules Breton, Gustave Courbet and Millet. Many of his most compelling works date from this period. Towards the end of his stay, van Gogh suffered a severe relapse lasting two months between February and April 1890. Nevertheless he was able to paint and draw a little during this time. In February 1890 he painted five versions of L’Arlésienne (Madame Ginoux); based on a charcoal sketch Gauguin had produced when Madame Ginoux sat for both artists at the beginning of November 1888. The version intended for Madame Ginoux is lost. It was attempting to deliver this painting to Madame Ginoux in Arles that caused his February relapse. His work was praised by Albert Aurier in the Mercure de France in January 1890, when he was described as “a genius”. After years of painful anxiety and frequent bouts of mental illness, Van Gogh died at age 37 from a gunshot wound. It was generally accepted that he shot himself although no gun was ever found. At the time of his death his work was known to only a handful of people and even fewer people appreciated it. Van Gogh’s mental health surely must have affected his painting and has been a subject of much speculation since his death. Although some try to romanticize his ill health, modern critics see an artist deeply frustrated by the inactivity and incoherence brought about by his bouts of illness. According to art critic Robert Hughes, van Gogh’s late works show an artist at the height of his ability, completely in control and “longing for concision and grace”.